Touch input has already almost entirely eliminated the need for physical keyboards and mouses, but soon, it won’t even be confined to a screen. 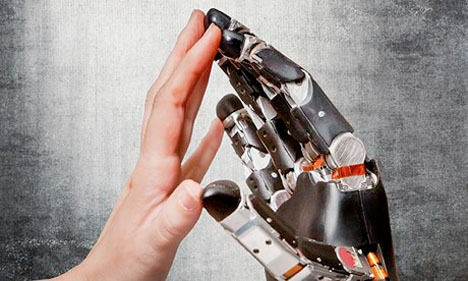 Researchers are developing systems that can register and translate hand movements in thin air, or even replicate the sensation of three-dimensional objects and textures. 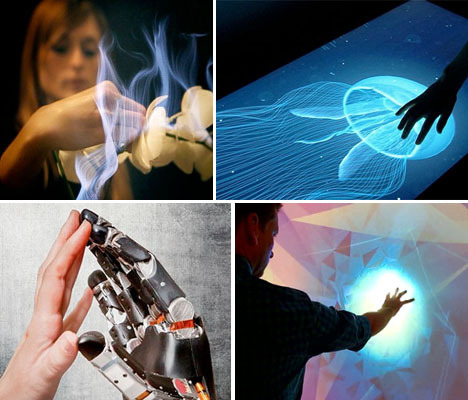 Here are 13 intriguing touch tech inventions. Prosthetics allow amputees to do all sorts of things they wouldn’t be able to do otherwise, but they’ve been missing one very crucial thing: the sense of touch. That could change, with experiments at the University of Chicago developing a moldable plastic material containing piezoelectric powder that can sense pressure at any point on a surface by turning it into an electric voltage. They were able to translate those electric signals to the human nervous system, so they can be interpreted by the brain as touch. The next challenge is adapting this touchscreen technology, borrowed from smartphones, to the soft and curved surfaces of prostheses. Imagine being able to touch something that’s not really there. A new kind of touch technology being developed by the research wing of the Walt Disney Company allows users to feel textures on a touchscreen as well as touching holographic objects projected into space, as through an Xbox Kinect. Called ‘haptic technology,’ it works by blowing small rings of air at a user to simulate texture, movement or collisions with objects. It could potentially revolutionize the gaming experience, and also be useful in medical settings. 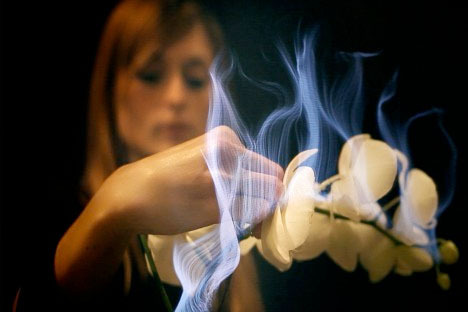 Developed by London-based studio Bare Conductive, the ‘Touch Board’ translates touch into sound. Any conductive material can be turned into an interface; in this case, electrically conductive paint is applied to a surface. You connect the touch board to a speaker, and plug it into a micro USB cable. Interaction with any of the electrodes cause an MP3 player to play an associated track from the card. What if you could hear through someone’s finger? ‘Ishen-Den-Shin’ technology (named for a Japanese phrase meaning “what the mind thinks, the heart translates”) uses the human body as a sound transmitter. A handheld microphone connected to a computer records as soon as it hears a person speak and transforms it into a sound loop which is converted into a harmless high-voltage inaudible signal transmitted to the microphone’s conductive casing. That means whoever holds the microphone becomes a human sound emitter. If they touch an object or another person’s ear with their finger, the small sound vibrations can be heard. 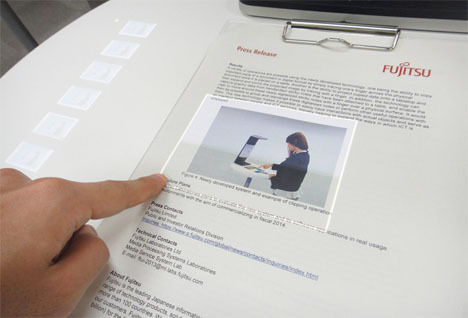 An augmented reality touchscreen interface from Fujitsu Laboratories can turn any surface into a touch screen using off-the-shelf cameras an projectors. Users can trace their fingers across a document on a table, copy it as digital data, and display it virtually. The camera measures irregularly shaped objects on a table, and automatically adjusts the coordinate systems that make it possible to match finger movements and touching of objects to the digital display projected onto physical objects.